Singer Pops Fernandez is going global. It's another level of achievement from Pops Fernandez as featured judges of the new CBS talent show The World's Best, hosted by James Corden. 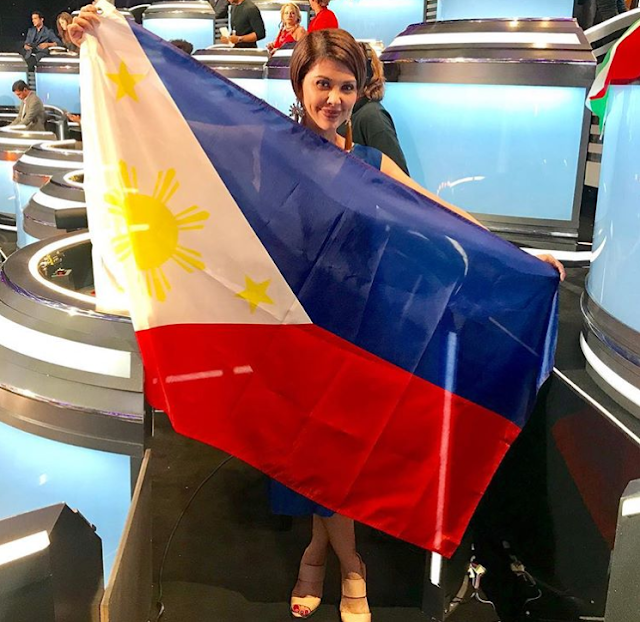 In her Instagram account showed Fernandez is raising the Philippine flag, "Representing the #Philippines as one of the 50 #walloftheworld judges in @theworldsbestcbs hosted by james corden". Fernandez will be joining Hollywood superstars Drew Barrymore, Faith Hill and Rupaul Charles. The show's official website listed Fernandez as one of "The World's Best Experts," along with 49 judges, such as Mongolian rapper Rokit Bay, Scottish journalist Ross King and many others. The show will feature talents from different parts of the world to impress Barrymore, Hill, and Charles. The contestants have to break "break through the wall of the world." The newest show is expected to premiere in the United States on February 3, right after the Super Bowl.